Larry Beneke, a member of Ohio Conference’s Kettering church, has announced his retirement as chair of Kettering College’s Department of Radiologic Sciences and Imaging, a position he has held since 1996. His retirement becomes final in April as he finishes his 25th year at the school, and more than 36 years with Kettering Adventist HealthCare, the college’s governing organization. Beneke joined the Kettering College faculty in 1986 and has been a significant contributor to campus life. In addition to his academic responsibilities, he has also assisted in overseeing multiple changes to the physical plant, an activity that he may continue on a part-time basis next year. 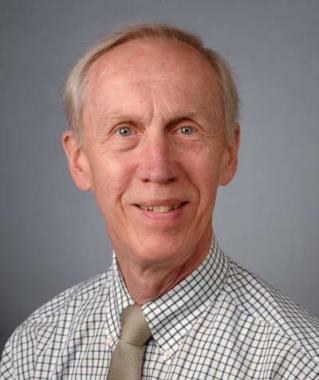 Before joining the college faculty, Beneke began his imaging career at Kettering Medical Center in 1974 after completing training and a degree in radiologic technology in southern California. He already had a bachelor’s degree in biology before serving for four years as a medical corpsman with the U.S. Navy and Marine Corps. Last fall Beneke was named an honorary Kettering College alumnus for his outstanding service to the school, his longtime commitment to the college and his ability to reflect the mission of Kettering College. Beneke’s late wife, Diane, also devoted 20 years to the college, and their three sons are alumni: Darin Christie (`96), Todd Christie (`02) and Aaron Beneke (’95). Frank Brewster, currently clinical coordinator for the department, will succeed Beneke as chair of the department. Brewster is a Kettering College alumnus who earned his associate’s degree in radiologic technology in 1977. He went on to earn a bachelor’s degree in radiation medicine from Wittenberg University and a master’s in education from the University of Dayton. He joined the Kettering College faculty in 1981 and has acted as the clinical coordinator since 1996. Brewster will provide leadership and continuity as the department searches for a new faculty member.